The bedroom is perhaps the second most important room in the house. It provides comfort, privacy and true feeling of being at home. It’s a place where you relax after an arduous day and take a well earned rest. 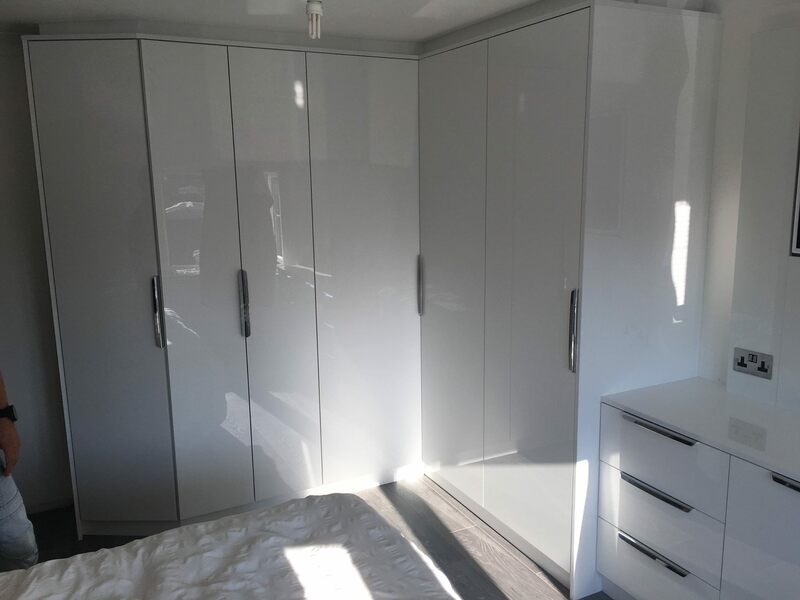 Having a nice bedroom greatly impacts one’s lifestyle and irrespective of what kind of house or apartment you own, our company can help you achieve your dream fitted bedrooms look and comfort. 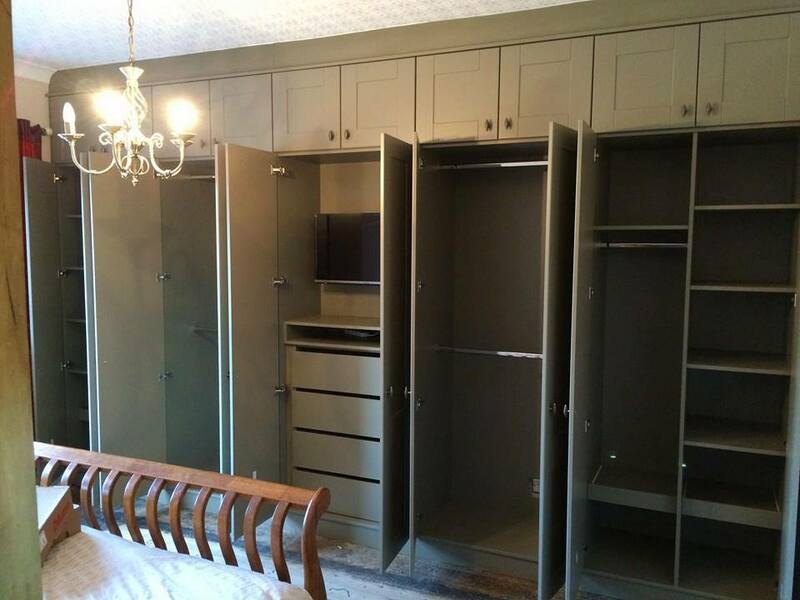 We provide bespoke handcrafted bedroom services that help you perfectly create each and every aspect of your bedroom, thus enabling you to get that feel of the complete bedroom you have always dreamt of. 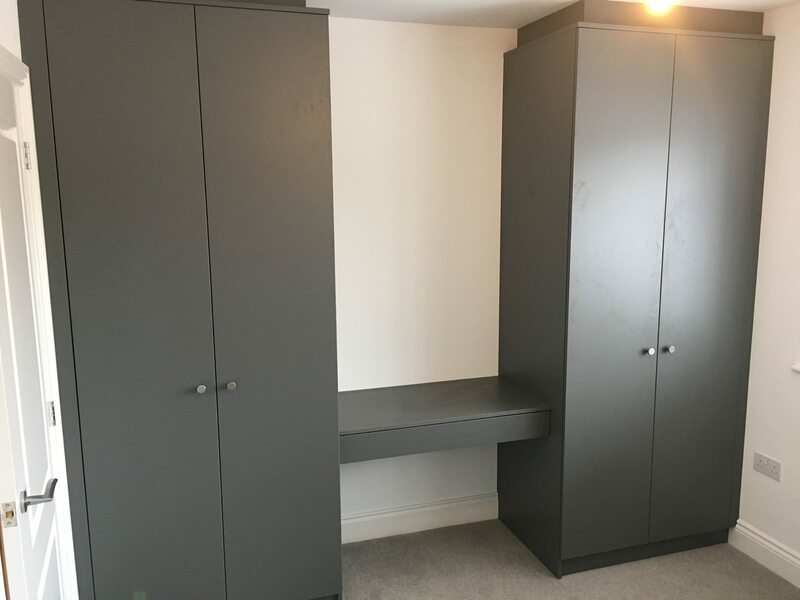 The perks of availing our fitted bedrooms services include not only having an aesthetic bedroom but also finally having a room which is mess free and super organized! 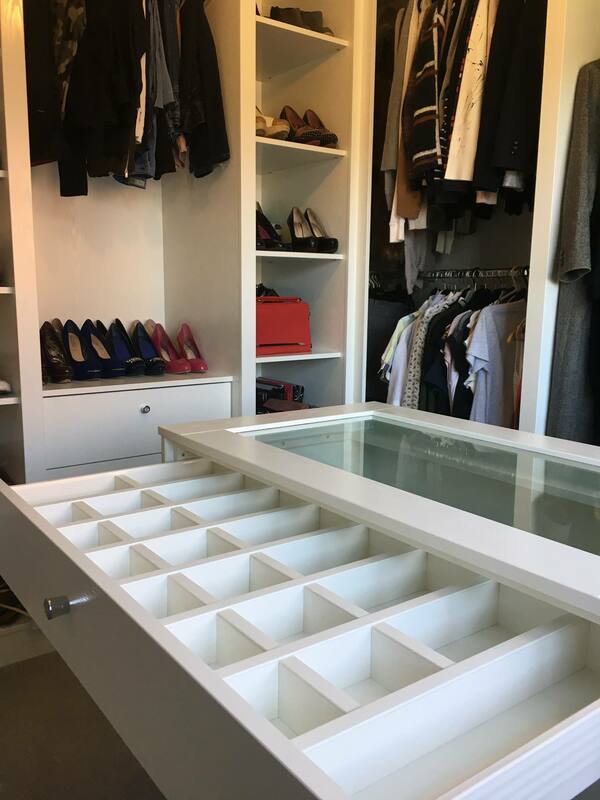 We ensure that your room looks not only beautiful but is also managing your clothes, shoes and other accessories, ingeniously! We try to use every space of your room quite intelligently so that every object in your room has its own special place. 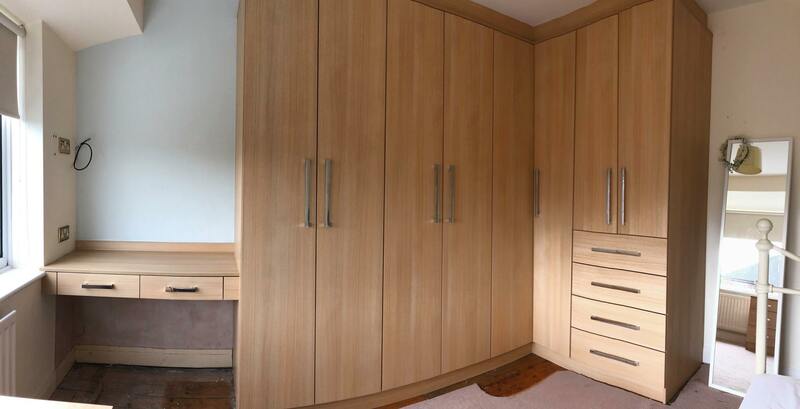 This is all part of our fitted bedrooms service. This helps you get that spacious look in your bedroom where everything is elegant and each and every corner of the room is giving off a calming vibe. Being an independent company enables us to cater to any shape of bedroom and any requirement of our clients. There are many cases where we have to deal with rooms that have an oddly shaped ceiling, walls inclined at weird angles and other unusual elements. Our designers as well as fitters are experts in handling such problems and converting these imperfect fitted bedrooms into perfect and comfortable ones. Our designers not only work on finding the best design solution for your room but they also help and guide you to make the best use your available space, materials as well as budget. This communication between our designers/fitters and customers ensures that we fulfill every need of our customer both in terms of practicality and style. In this modern age, it is not feasible to stick to old bedroom ideas. Innovation is the key to great results whether it is in the design of your bedroom or its styling. We always provide innovative ideas in order to come up with the best storage solutions as well as unique yet practical designs. 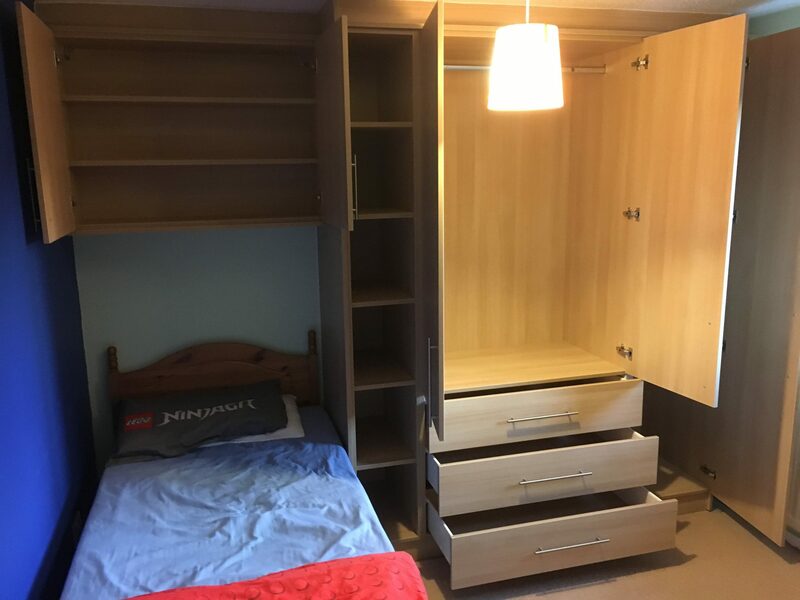 We ensure that whatever design we collectively decide for your bedroom, it is not only innovative but is also highly adaptable in order to fit it’s shape and size. Our customers are always presented with a wide range of options to choose from. Whether it is colours, styles, material , patterns, size, shape etc. our customers get ample opportunity to decide the elements for their dream handcrafted bedroom which comes with our fitted bedrooms service. 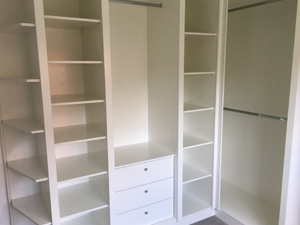 Quality is our top priority and we ensure you that we provide all our customers with top quality materials not only for bedroom furniture but also for sliding doors and other bedroom accessories such as closets, vanity table, side tables etc. 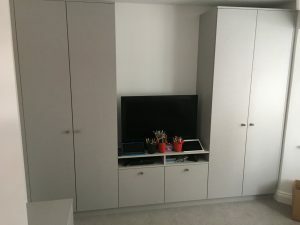 We want to remain a customer oriented company and hence our customers chose not only the colour, shape and size of the elements in their bedroom but they also get to decide what glass finish they want in their sliding doors and what type of drawer inserts they would like for example, coloured, mirror or opaque. We pay special attention to every detail in the bedroom so that you get your perfect bespoke bedroom. Due to this reason, we also offer special yet optional accessories such as headboards that match the bed, wall mirrors, stools, shelves, decoration pieces etc. Our bespoke handcrafted fitted bedrooms are guaranteed to provide you with an exquisite sanctuary in your own abode. 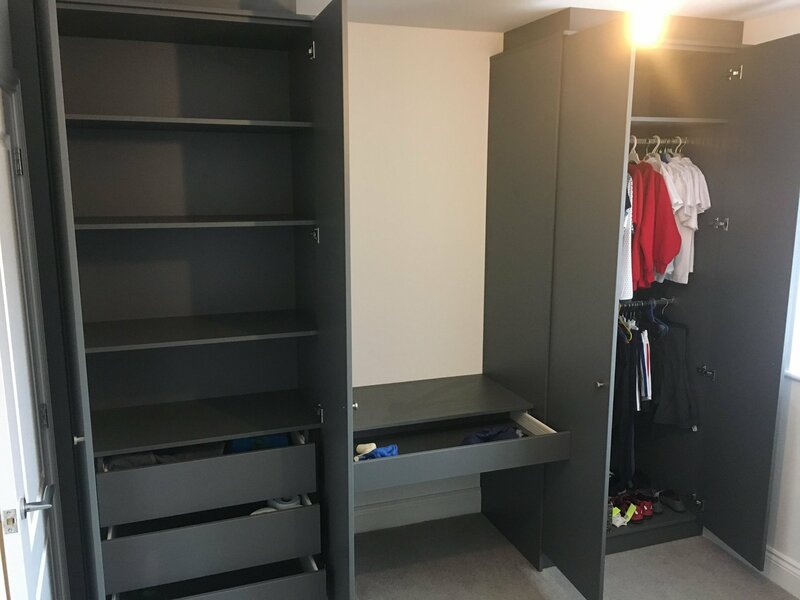 We cleverly design not only the living space in the bedroom but also the storage areas such as a stunning dressing room that you can access easily via your fitted bedroom. 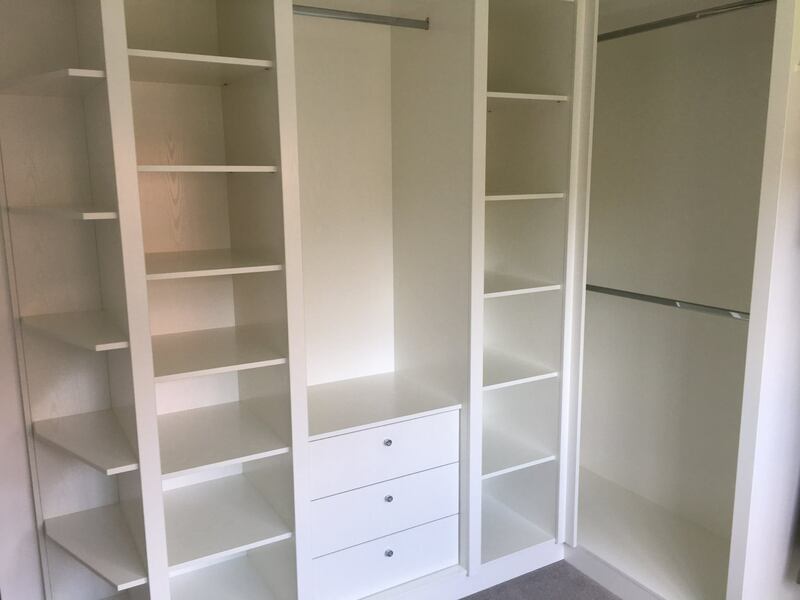 Other than that, our wardrobes are also astutely designed to meet your mass storage needs and to keep your bedroom decluttered. 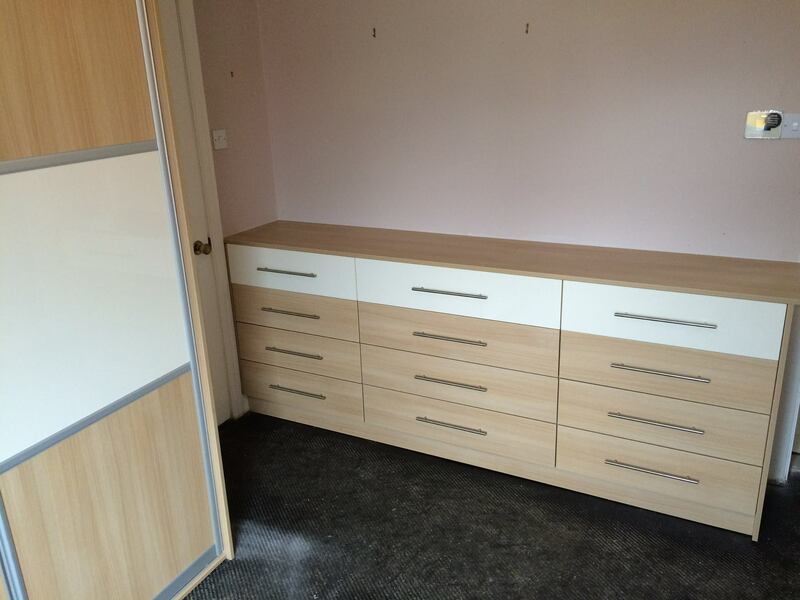 We can design a nice seating area in your fitted bedroom along with handcrafted dressing table as well as mirror. We may also try to fit in a cosy window seat so that you get to have a perfect place to unwind. 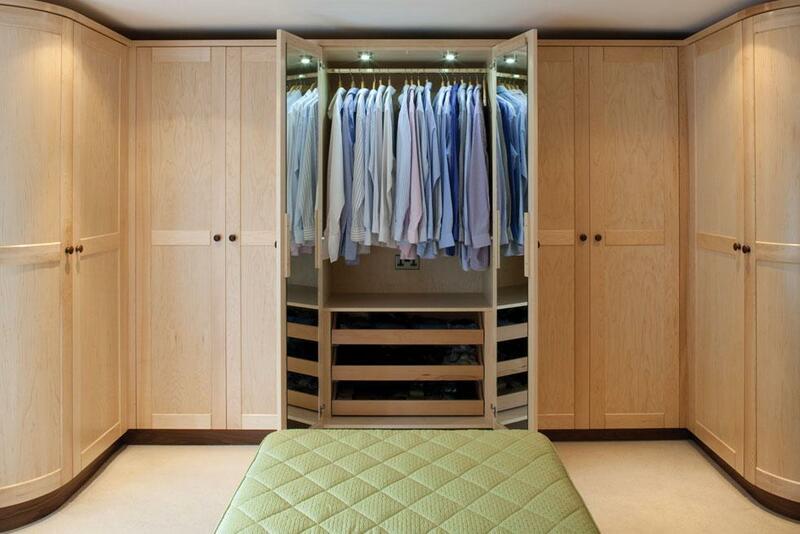 We can also have our designers visit your home in order to have a bespoke handcrafted bedroom consultation. All installations are provided for by our “in house” team and because they work hand in hand with our in house designers this makes for a very smooth transition form project inception to installation. 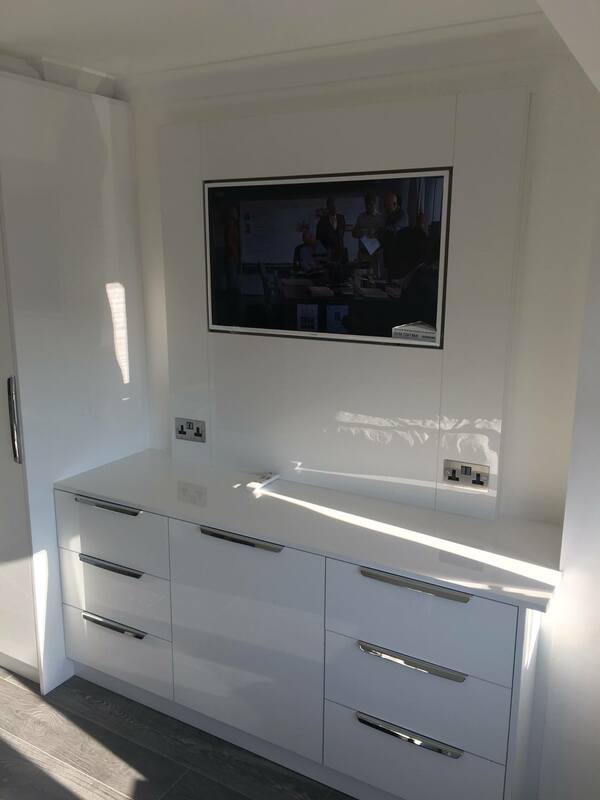 Our main area of operations includes dealing with sloping ceiling, awkward spaces and fitting in the colours and different sized furniture that our customer desires. 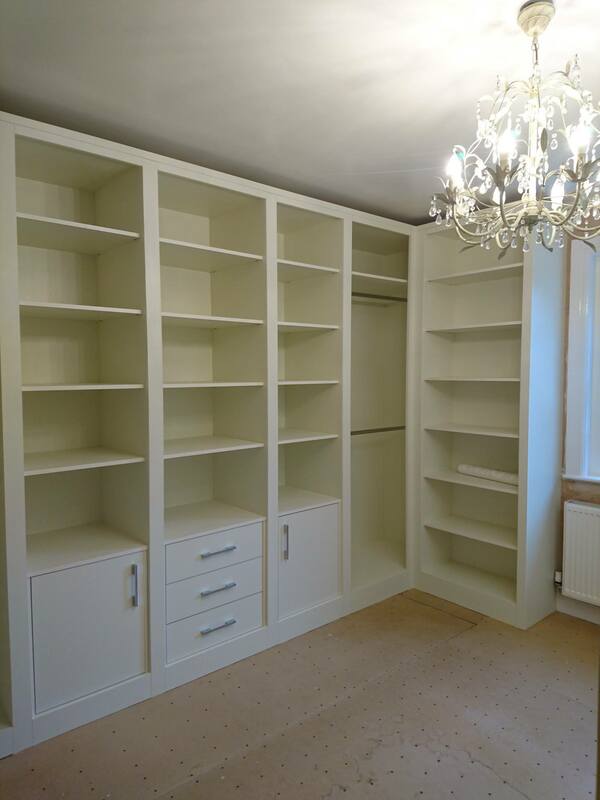 We build our customer’s bedrooms to measure, so that they are able to make most of their available space. Whatever services we provide, we do that at an affordable price. Our main goal is always customer satisfaction. Our customers always walk away with outstanding results and a great feedback and this helps us attract more customers. We try to redefine bedroom spaces with the help of our top-notch workmanship and high quality materials. 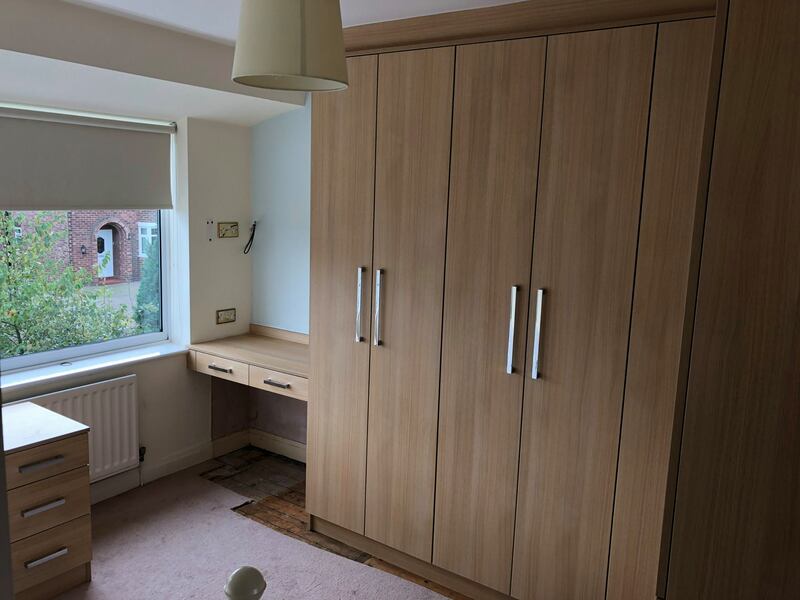 We help our customers with their vision of their bedroom and how they want it to go with the rest of their house. 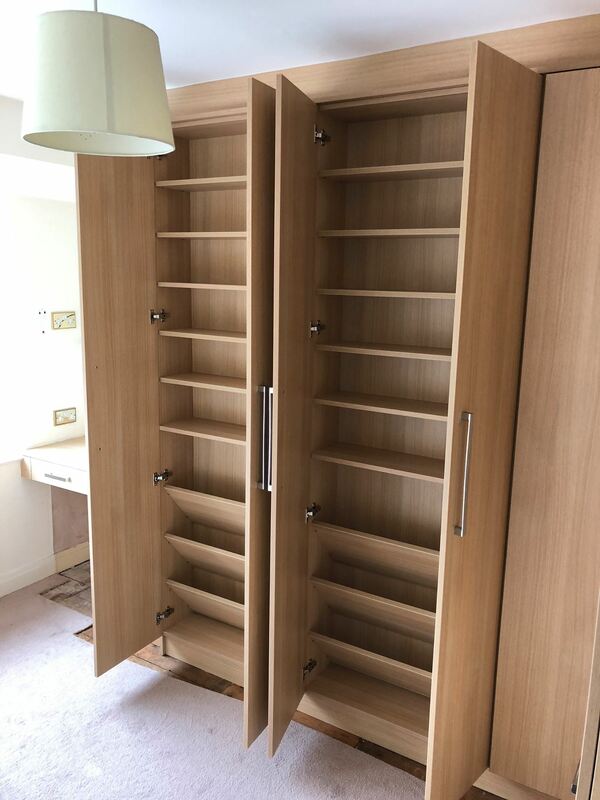 Converting that vision into reality is our responsibility and customer satisfaction is our priority and hence, all our customers walk away with an amazing bespoke hand crafted bedroom.